Keurig Elite K40 Brewing System for Only $79.97! Ships FREE! 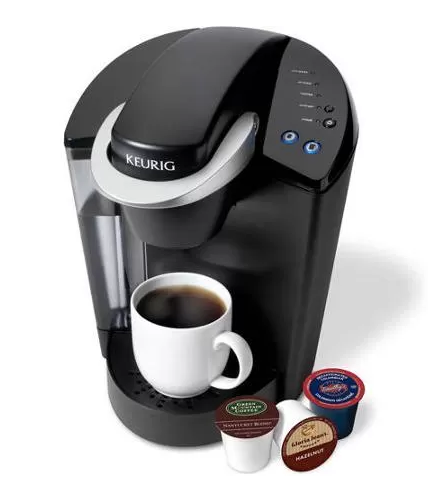 You are here: Home / Great Deals / Keurig Elite K40 Brewing System Only $79.97! Ships FREE! Keurig Elite K40 Brewing System Only $79.97! Ships FREE! Head over to Walmart.com to get a great deal on a Keurig! Order the Keurig Elite K40 Brewing System for Only $79.97! Ships FREE! The Keurig Elite K40 Brewer has three easy steps to choose, brew and enjoy and a large 48-ounce removable water reservoir. It comes with three serving size options and its patented K-cup mini-brewers contain a precise grind and quantity of coffee or tea. You’ll enjoy the perfect cup of Keurig coffee every time with the Keurig Elite K40 Brewer.